A Christian church is a piece of architecture that tends to withstand the test of time. 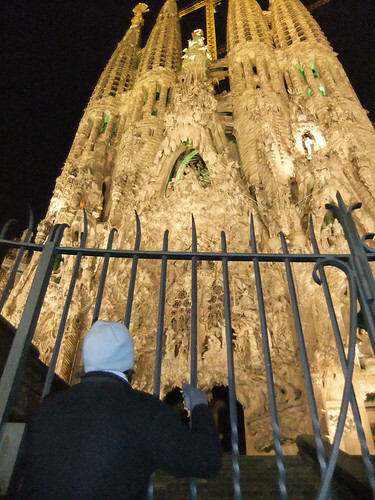 When you want to feel inspired by something divine, you can simply look at one of the many cathedrals that can be found throughout the world. Some of the structures are imposing while others have an understated elegance that offers one the feeling of peace and serenity. 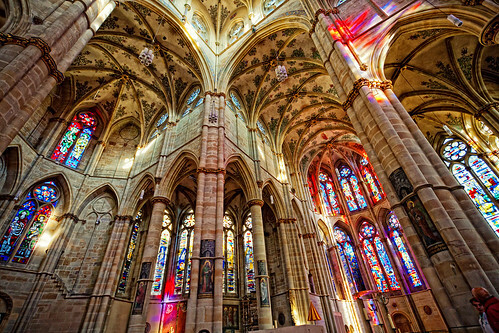 One should check out these 5 Christian churches to see the beauty that each one brings to the world of architecture. These 5 Christian churches continue to offer church services to the masses so you may one day be able to enjoy seeing the interior of these gorgeous buildings. 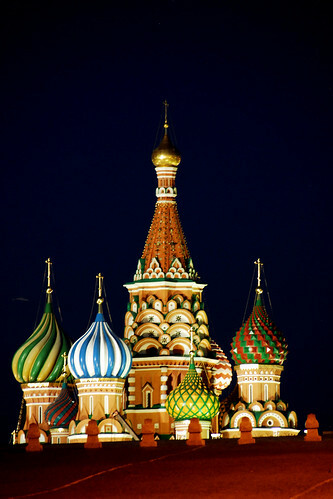 St. Basil’s Cathedral can be found in Moscow, Russia. The church is decorated in brilliant red and orange colors. The church was named after a saint who challenged the ways of Ivan the Terrible. While most people feared Ivan the Terrible, Saint Basil did not share in this fear. Ivan the Terrible must have had some sort of respect for Saint Basil because he ordered that the church be built in honor of him after his death. The bulbous domes have brilliant colors that stand out when one views the skyline of Moscow. The legend goes that Ivan the Terrible also blinded the architect who was responsible for building the cathedral. The story goes that Ivan the Terrible did not want the architect to create anything as beautiful as the cathedral in the future. St. Peter’s Basilica is the largest cathedral in the world. Located in Vatican City, this is the most important church within the world of Christianity. 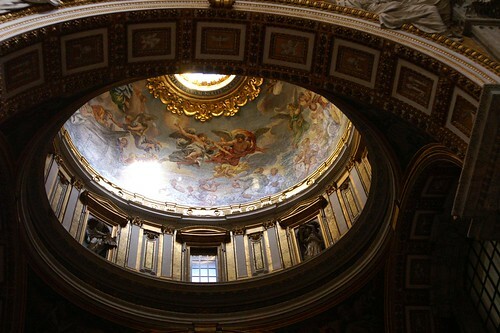 The church can fit over 60,000 people, and it features the beautiful artwork of Michelangelo. The church was built after a former structure crumbled. The former structure was also a church and was constructed by Constantine in 324 C.E. The basilica is gorgeous for its imposing structure and ornate interior. The dome of St. Peter’s Basilica also features the artwork of Michelangelo which is comprised of small cherubs surrounding the dome. This gorgeous church was built in 1916. The cathedral was built in this location after the Virgin Mary was rumored to appear on the site. 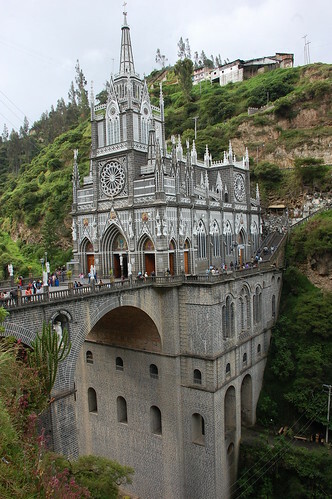 The cathedral is located in southern Colombia and has a bridge on top of the Guaitara River. Various sculptures of angels can be found on the outside of the cathedral. It is truly a beautiful structure to see. Located in Iceland, the Hallgrímskirkja is the tallest structure in Iceland. The narrow and tall style of the building make it a fascinating cathedral to study. The structure has the same shape as a volcano, and it is meant to symbolize all of the volcanoes that can be found in Iceland. After viewing these 5 amazing structures, one may be inspired to become stronger in the Christian faith or at least devote time to the legends and beliefs that surround the construction of these gorgeous buildings. These buildings have all had a significant impact on the world of Christianity in some way. Ashley Lowell is an architect and guest author at Christian Bible Colleges, a site with guides and information about the top Christian Bible colleges and what they each have to offer students.